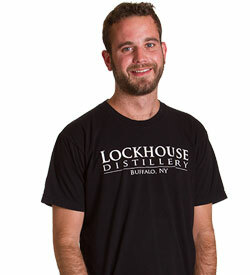 Lockhouse Distillery is the first distillery to open in Buffalo, New York since Prohibition. 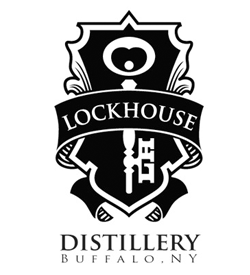 Marking a return to the aesthetics and values that made Buffalo great, Lockhouse is dedicated to crafting fine artisinal spirits with a focus on high quality production and local ingredients. Open at 12pm for lunch during any Buffalo Sabres early afternoon game at the First Niagara Center. East Aurora, NY. Then I went away to College in Alfred, and finished my schooling in Buffalo in 2005. Kinda by chance. My friend, and now partner, moved back from New York City and I put him up in my house for a while until he found a place to live. He saw the success of Kings County Distillery in NYC and thought it would be a fun business to start here, and that’s kind of how the idea was born. I’m not “formally” trained in distilling so there was a lot of work to be done. One thing that I think helped me was that for years I did saltwater reef aquariums, so water parameters and some of the chemistry kind of came easier to me. But from then on I read a lot. I read every distilling, mashing and malting book I could get my hands on. Everything from whiskey, to vodka, to cordials, gins, brandy etc. For months I read myself to sleep about distilling and starting a distillery. One of the biggest helps that I found was online forums and reaching out to people that have done it. Through forums I could avoid some mistakes I might have made by learning from the mistakes others have already learned from. Plus, it was a cool supportive community. I can’t stress enough how helpful online forums can be for almost everything. It’s a cool day and age for information and I think it’s silly not to take advantage of it. I’d borderline be embarrassed to admit how many forums I’m a part of, from cocktails, distilling, brewing, all the way to speakers and mattress forums (I went way down a wormhole on mattress shopping, I definitely can admit I’m weird and maybe that helped). But at the end of the day reading, forums and reaching out to people that have already been through it is kind of how I did it, as well as finding the right people to do it with that had different skill sets than I. Until we found our last partner Cory who WAS formally trained and kind of took the spirits part of the business to another level. I have an associates in Business and a bachelors in Communications with a minor in art. I’ve always loved art. I actually wanted to be a video editor at that point, although I don’t do it for a living, I keep it as a hobby. There’s a lot, but I think my absolute favorite part is sitting down at a bar I’ve never been to and seeing our bottle (or bottles) on the shelf. That’s really cool and satisfying. A lot, that’s a hard question. I guess seeing people build big successful companies out of nothing. Seeing people in my industry doing huge, great things and making original strides. My partners may laugh at this response, but try not to be completely hard headed in business. Be open to other people’s ideas. I can tell you I’ve eaten my words several times on events and ideas that I thought were going to tank, and turned out very successful. What is your favorite part about having a location in the Cobblestone district? Watching it grow! It’s cool to see people have a great time at our place or Ballyhoo that have never been down that way. To see RiverWorks go up, and how cool Canalside has become. It’s a very neat time to own a business in that area and we’re really enjoying it. We really believe Cobblestone has a big place in Buffalo’s future. What is one must-order drink for anyone stopping in? Another tough one, everyone has their own unique palette and we tried to design our menu to cater to that. I would suggest trying our Moscow mule as we make our own ginger beer in house. Also a Negroni, we make our own Ibisco (campari type spirit) in house as well. What is your personal favorite drink? I don’t have a favorite. I love liquor. I switch from whiskey, to Amaros, to chartreuse to plain old vodka sodas depending on my mood and the season. I also enjoy beer and cider. It would be too hard to pick a favorite.